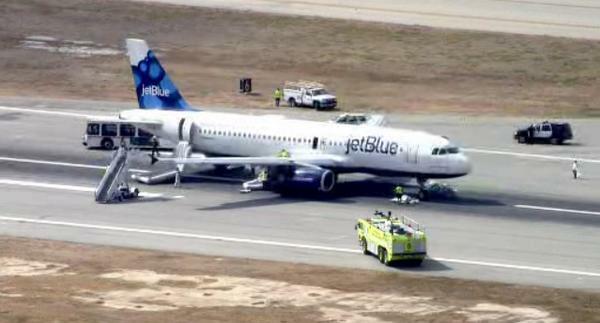 On 18 September 2014 JetBlue Airways Airbus A320-232 N656JB experienced a Number 2 IAE V2527-A5 engine failure and under-cowl fire during initial climb out from Long Beach, California. 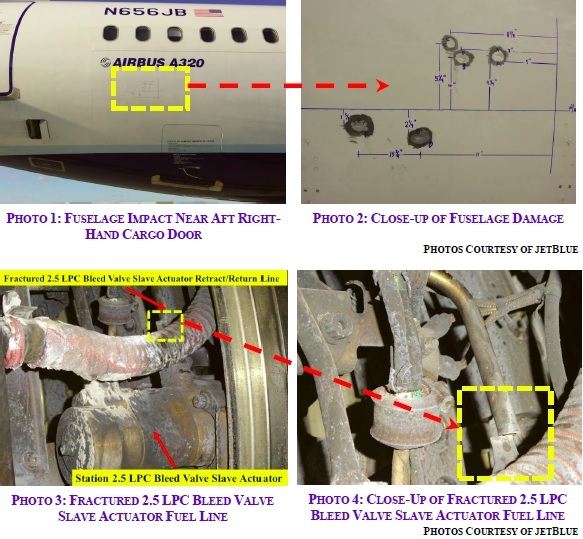 Examination of the outside of the engine revealed a fractured fuel pressure line…and evidence of thermal distress such as consumed, partially-consumed or oxidized insulation blankets, loop clamps cushions, wiring harness sheathing, and sooting of various components and cases. The investigation concluded the fuel pipe had failed due to excessive vibration. A full engine strip was necessary to identify the cause. …a single fir tree blade retaining lug from the high pressure turbine stage 2 disk had fractured and 2 HPT stage 2 blades had released. Metallurgical examination…revealed evidence of fatigue from multiple origins that propagated from the pressure side (PS) of the middle (No. 2) fillet towards the suction side (SS) almost through the entire width of the lug before finally fracturing due to progressive tensile overload. Closer examination of the fractured lug revealed a concave ‘divot’ in the PS No. 2 fillet, immediately adjacent to the fracture surface. The depth of the ‘divot’ measured up to 0.0008 inches at the fracture origin site and the ‘divot’ was confirmed to run the entire length of the fillet. Visual examination of all the other remaining lugs revealed that same ‘divot’ on PS No. 2 fillet and based on this IAE concluded that the groove appeared to be a tool mark resulting from the original machining (broach) operation. The broaching tool is used to finish 3 discs, each with 72 slots, before re-sharpening (or ‘re-dressing’). The disc of the failed engine was the middle of three discs broached before the next re-sharpening. The other two discs were examined by IAE in March 2015. The first disc had 52 satisfactory slots but the last 20 exhibited the same ‘divot’ tool marks as found on the failed disc. All 72 slots on the third disc has tool marks. In June 2015 IAE then went on to examine the first disc broached after the tool was next sharpened. All 72 slots exhibited the same tool marks as seen previously. Further unique tool marks were found on the PS No. 3 fillet. Reconditioning of the broaching tool did not correct the ‘divot’ problem, so an audit team made up of IAE, Avio Aero (performed the finished machining/broaching operation), and General Electric (owner of Avio Aero) evaluated the entire manufacturing process with an emphasis on the broaching operation. 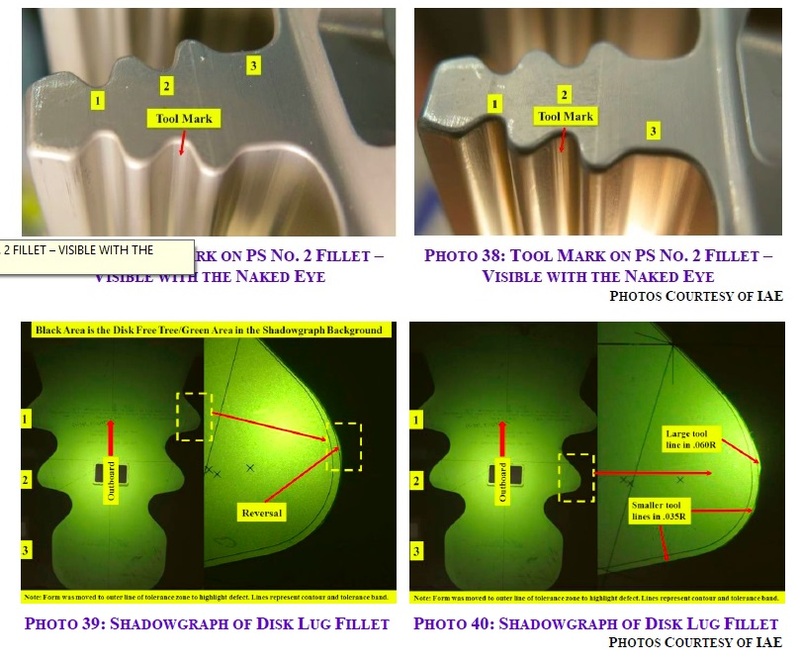 3) procedural issues with inspection of tooling, set-up and final parts. Based on these findings, the best practices from GE and IAE have been implemented to address these manufacturing deficiencies. …IAE proposed a fleet management plan that would include the issuance of a Non-Modification Service Bulletin (NMSB), anticipated in the first quarter of 2016, for a once-through the fleet inspection of all HPT stage 1 and 2 disks manufactured by Avio at the next engine HPT overhaul. According to IAE, Avio manufactured over 4,000 HPT stage 1 and 2 disks. 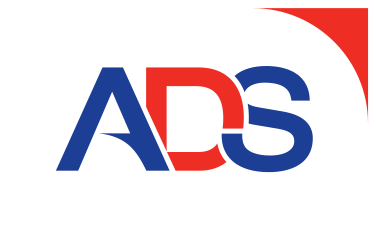 Discussions with the Federal Aviation Administration [FAA] indicated that they intend to issue an Airworthiness Directive (AD) mandating the inspection of Avio manufactured V2500 HPT stage 1 and 2 disk based on the IAE NMSB. UPDATE 5 April 2016: The FAA issues an Notice Of Proposed Rulemaking (NPRM) to require inspecting the HPT stage 1 hub and HPT stage 2 hub, and, if necessary, their replacement with parts that are eligible for installation.